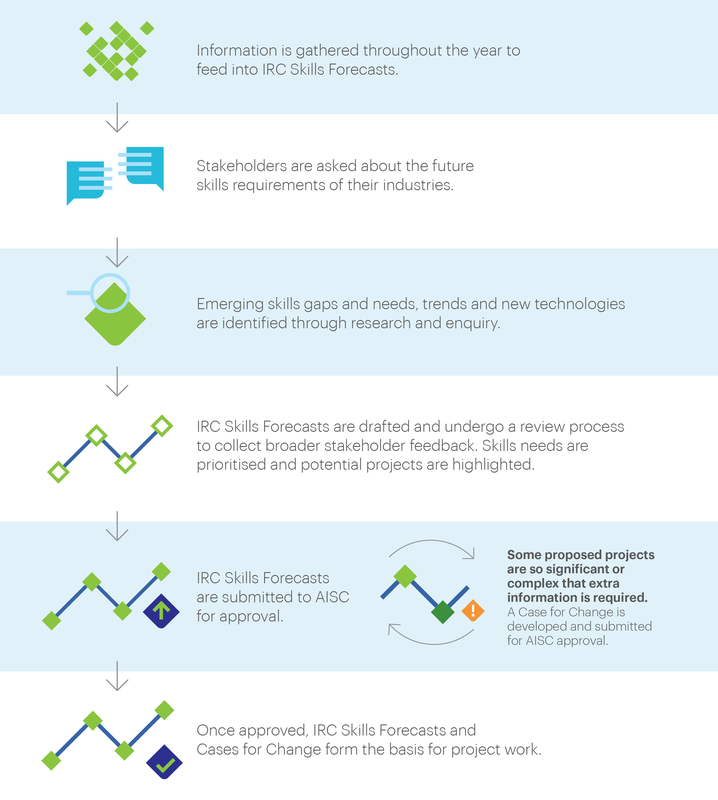 Industry Reference Committees (IRCs) are responsible for developing an IRC Skills Forecast and Proposed Schedule of Work (Skills Forecast) at the beginning of each year. We are seeking your feedback on the priority skills that have been identified for the forestry and timber industries between 2019 – 2022. Several projects have been proposed to address these priority skills, as summarised in the grey box below. Feedback is being collected up until 26 April 2019. To provide your feedback, please click on the icon below. The IRC Skills Forecast will be submitted by the Forest Management and Harvesting IRC, Timber and Wood Processing IRC and Timber Building Solutions IRC to the Australian Industry and Skills Committee (AISC) at the end of April. The information will be used to update the AISC National Schedule of training package development projects. Click the ‘Read draft Skills Forecast & provide feedback’ link above. You will be asked to register or login (for a free account). Follow the prompts. Once logged in, you will be able to post feedback directly on the document. Prefer to email us your feedback? You can email your feedback to gdaian@forestworks.com.au. 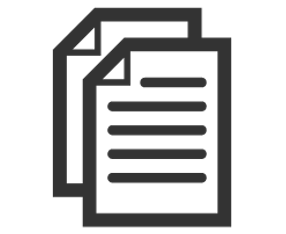 Click here to download the draft document in Microsoft Word format. What is a Skills Forecast? Skills Forecasts identify skills gaps, emerging skills needs and associated training needs for industry and determine whether there is a need to change training packages (i.e. units of competency, skill sets and qualifications). The documents propose a plan for reviewing and developing the relevant units, skill sets and qualifications, which is then submitted by the IRC to the Australian Industry and Skills Committee (AISC) for their consideration and approval. The AISC advises Commonwealth and State Industry and Skills Ministers on the implementation of national vocational education and training policies, and approves nationally recognised training packages. The AISC draws on this information to update their AISC National Schedule, and to determine future Training Package Projects. View current projects, that have been approved out of previous Skills Forecasts. Please note: IRC Skills Forecasts were previously called Four Year Work Plans. This project is to investigate the skills implications and training requirements resulting from the National Heavy Vehicle Regulator’s Master Industry Code of Practice, and the subsidiary, industry-specific code of practice for harvesting and haulage operations. Relevant units will be reviewed. This project is to review the Certificates II and II in Timber Merchandising. This project is to encourage and support industry’s use of the Training Package. Uptake of industry standards as workplace standards, engaging with training providers in an assessment-only mode, requires that the assessment tool is as standardised as the competency standard itself. This is a proposed extension of the 2019-2020 ‘Assessment Instruments’ project, with the objective of establishing an assessment-based model of competency attainment/skill set completions. This project is to interrogate industries’ unique requirements for safety leadership and risk compliance management. It will identify the nature and risks of operating in remote areas, the impact of extreme weather on operational safety, and interactions with multiple industry partners. The Log Haulage Operator Code of Practice (being developed under the NHVR’s Master Industry Code of Practice) may impact on units of competency relating to the transportation of logs and wood and forestry products. This project is to review Certificates II to IV in Sawmilling and Processing to identify better enrolment pathways, skill sets and connections with specific job roles. Recent changes to the National Construction Code (NCC), allowing timber buildings up to a height of 25m, creates new product obligations, some of which will have work function and skills development implications that will be reviewed here. This project is to assess the impact of the Forest Certification Scheme and Responsible Wood program across job clusters in terms of work functions and Training Package gaps. This project is subject to industry consultation conducted during the AISC cross-sector project, ‘Supply Chain’. In principle, this priority covers skills for supporting product development in timber processing and for improving performance in product supply chain operations. This project aims to investigate the consequences of building cladding and fire safety guidelines changes for industry, work functions and job roles. This project is in response to the emergence of renewable energy strategies by industry. In principle, it covers skills requirements for supporting biomass-based energy developments, where the feedstock is derived from woody biomass and other agricultural plant residues.